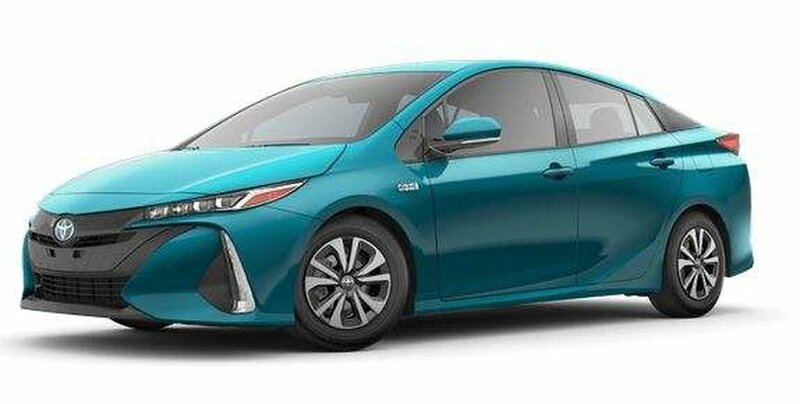 The 2019 Prius Prime is the plug-in hybrid that goes the distance – offering progressive style, advanced technology, and Toyota Safety SenseTM P which includes a pre-collision system with Pedestrian Detection, lane departure alert, automatic high beams and dynamic radar cruise control. The Prime gives you 1,035 km combined electric/hybrid driving range, 5 hr 30 min charge time with a standard 120v household outlet. Hit the gas station far less with 1.8L/100 km combined city/hwy EV mode fuel efficiency and 4.3L/100km combined overall hybrid and electric. With similar annual costs to running a small air conditioning unit and all you will save at the pump, this is a no brainer! With this Prime enjoy key features such as 7 inch Display Audio, Heated Steering Wheel, Quad-LED Projector Headlamps, Rear LED Tail Lamps, LED Daytime Running Lights, Advanced Dual 4.2' inch full colour Thin-Film Transistor (TFT) gauge cluster, Dual Trip Odometer and Eco Drive Monitor and more!